7:05 a.m. – Students can be dropped off in the car line. 7:15 a.m. – Students are allowed to enter the building. 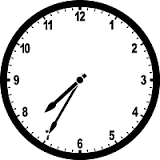 No student should arrive at school before 7:05 a.m. Kindergarten and First Grade students should report to the cafeteria. Second and Third Grade students should report to their hallway. 7:30 a.m. – Kindergarten and First Grade students will be dismissed from the cafeteria after breakfast. Second and Third Grade students enter classrooms. 7:35 a.m. – Instruction begins. Students are tardy after this time and must be signed in by a parent/guardian in the Marlboro Avenue office and given a late pass by office personnel. 2:30 p.m. – Car, bike riders & walkers dismissed by announcement. 2:35 p.m. – Bus riders are dismissed by announcements.